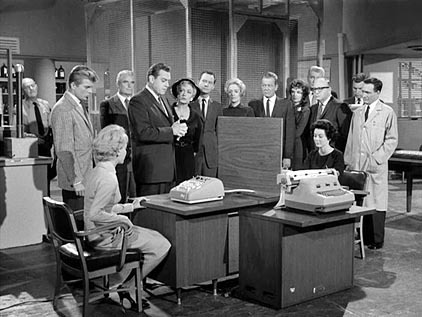 The Clary DE-60 was an early "computer" provided, per the credits, by its manufacturer, the Clary Corporation. It is described by the Computer History Museum as an electronic computing calculator built into a beautiful desk. The computer shown there is from 1965 and, presumably, somewhat more capable than the one in the episode. 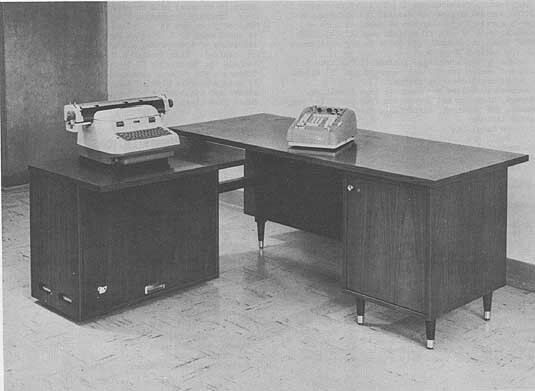 Further information can be found in a report dated March 1961 for the Ballistic Research Laboratories (BRL) titled A Third Survey of Domestic Electronic Digital Computing Systems posted on Ed Thelen's Antique Computers site and available here (scroll down). A picture from the BRL report site.